Some people have discographies; for pianist Bob Geresti, his body of work could be called a library. Since the early ’90s, Geresti has recorded and self-released one album after another, stretching his creative vision across the musical landscape. Among these is “Keys into the ’70s,” wherein Geresti covers classic-rock favorites such as Styx’s “Babe” and Led Zeppelin’s “Stairway to Heaven” and transforms them into cinematic piano instrumentals. There is emotion in Geresti’s playing; these aren’t soulless paint-by-numbers makeovers for the Muzak set. Geresti is an artist, and most definitely a prolific one. Vivian Fields: You have recorded in a few years more albums than people have in a lifetime. What brought forth such a massive output of creativity? Bob Geresti: I started in 1992, selling my first three albums to gift shops and my sales skyrocketed in the next several years with fans wanting more from me. I felt that my years in piano bars were informative years for me. Those years helped me to see what songs the public really liked. My arrangements of songs and my style was what people really enjoyed. I liked learning songs by ear, even though I can read music, because I could put more of me into the songs. I’ve always had an extensive repertoire and enjoy all kinds of music. Fields: Your albums always have a theme to them, whether they’re ’70s rock songs covered as piano instrumentals, Christmas discs, film scores, or spiritual pieces. What goes into your decision-making process in figuring out what you’re going to do next? Is it just your mood at that moment or have these styles always interested you? Geresti: I tried to do what the public asked for as far as songs and then use a theme for the album. My mood would have some input as to how I would come up with the arrangement. I would play songs each night and some nights I would come up with a great arrangement which I would then keep and record so I would play it the same way each time. All of the different styles have always interested me. I enjoy coming up with a way to play a song that you would never think of, but would really sound good whether it was a religious song, a love song, or a classical tune to which I add my own flair. Fields: Of all your recordings, name two that you are most proud of and why. Geresti: It’s tough to name only two when I’ve had several. My first original album would have to be one since I feel it’s hard to get people to listen to or buy original music since they don’t know those songs. However, during my live performances, I play my originals and people love them and always come over to comment on how well they liked the song and which album it was on. Also, cable companies began playing my songs as well as most recently the Weather Channel. They played an original from my first album on the local on the 8’s and has received a great response. The other recording would be “Speak Softly To Me,” which has been my best seller since I released it. One song on this album I feel really sells it is Pachelbel’s “Canon In D.” I’ve had several people come up to me and say that they were big George Winston fans, but that they really liked the way I played the “Canon.” I like the way George plays it too, but my arrangement is different and has captured many fans for me. Fields: Which of your albums have proven to be the most commercially successful, and why do you think people were so attracted to them? Geresti: This I somewhat answered in the question above with the “Speak Softly To Me” album but the “Divine Devotions” album has been a very successful recording. As a matter of fact, it sold faster than any album when it first was released. I think my arrangements of a few of the songs on those twp albums is what really attracted people to them. I had well-known songs on each album with great arrangements. Fields: When did you start playing piano? At what age did you feel you mastered the instrument? Or do you feel you still have more learning to do? Geresti: I started at the age of nine and then took lessons when I was 10 through my senior year in high school. 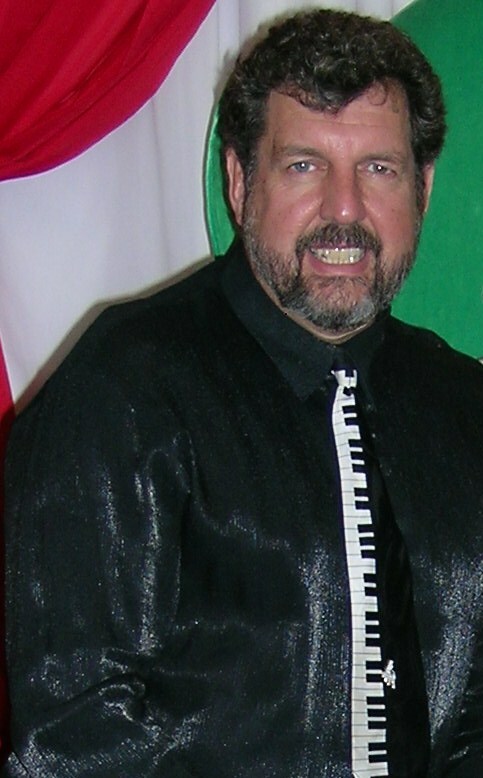 I majored in piano at West Virginia University for four years, of which two of those years I took lessons. It’s hard to say at what age I mastered the piano but after a few years of lessons, I was impressing people at malls where I would sit down and play and in school. But in college is where I really started to play songs with my current style, doing them the Geresti way which I have continued through today. As far as more learning, I still find new songs and come up with great arrangements of them during my practicing (which I still have to do!) I really still enjoy practicing especially since I purchased a Yamaha concert grand piano two years ago.